It is definitely a far cry from the Sandman spin-off that I loved so dearly, but perhaps this sort of wider audience appeal will register with more viewers. The critically panned, but very popular Gotham has been a huge hit for FOX, and scores the biggest ratings of any comics-based series outside of The Walking Dead. The network has some confidence in their ability to turn DC properties into hits, so we'll see if it holds up. The Devil has come to Los Angeles… Based upon the characters created by Neil Gaiman, Sam Kieth and Mike Dringenberg for DC Entertainment’s Vertigo imprint, LUCIFER is the story of the original fallen angel. Bored and unhappy as the Lord of Hell, LUCIFER MORNINGSTAR (Tom Ellis, “Merlin”) has abandoned his throne and retired to L.A., where he owns Lux, an upscale nightclub. Charming, charismatic and devilishly handsome, Lucifer is enjoying his retirement, indulging in a few of his favorite things – wine, women and song – when a beautiful pop star is brutally murdered outside of Lux. For the first time in roughly 10 billion years, he feels something awaken deep within him as a result of this murder. Compassion? Sympathy? The very thought disturbs him – as well as his best friend and confidante, MAZIKEEN aka MAZE (Lesley-Ann Brandt, “The Librarians”), a fierce demon in the form of a beautiful young woman. The murder attracts the attention of LAPD homicide detective CHLOE DANCER (Lauren German, “Chicago Fire”), who initially is dismissive of Lucifer. But she becomes intrigued by his talent for drawing out people’s secrets and his desire to dispense justice, doling out punishment to those who deserve it. As they work together to solve the pop star’s murder, Lucifer is struck by Chloe’s inherent goodness. Accustomed to dealing with the absolute worst of humanity, Lucifer is intrigued by Chloe’s apparent purity and begins to wonder if there’s hope for his own soul yet. At the same time, God’s emissary, the angel AMENADIEL (DB Woodside, “Suits,” “24”), has been sent to Los Angeles to convince Lucifer to return to the underworld…can the Devil incarnate be tempted toward the side of Good, or will his original calling pull him back toward Evil? 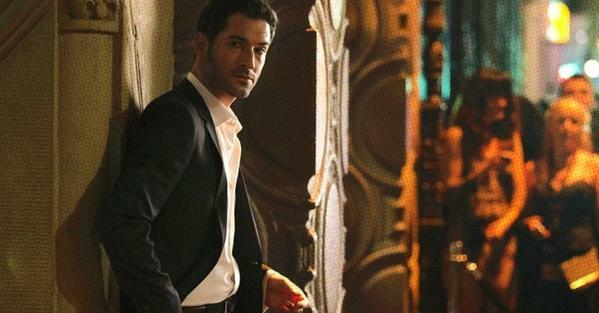 Lucifer will premiere in 2016.